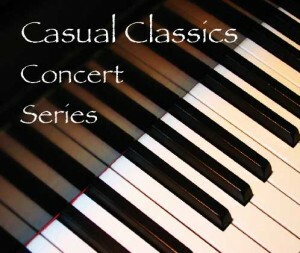 Back for my third appearance at the Casual Classics Series. Concert manager Suzanne Shull is doing a great job running this series. Attendance is always strong, and we need people like Suzanne to continue to promote good music. Music of Bach, Debussy and Chopin.